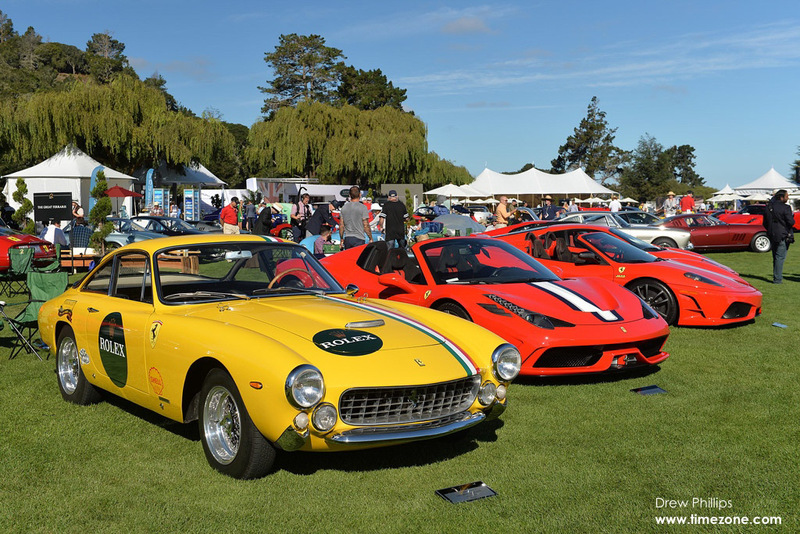 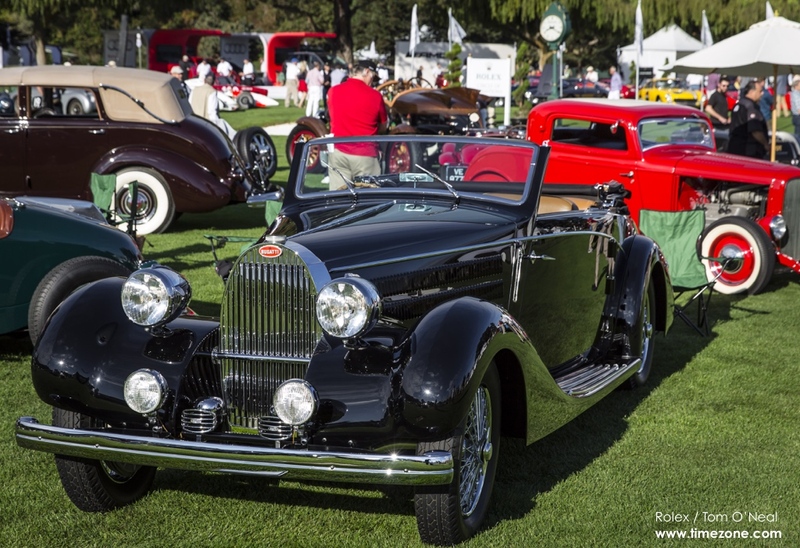 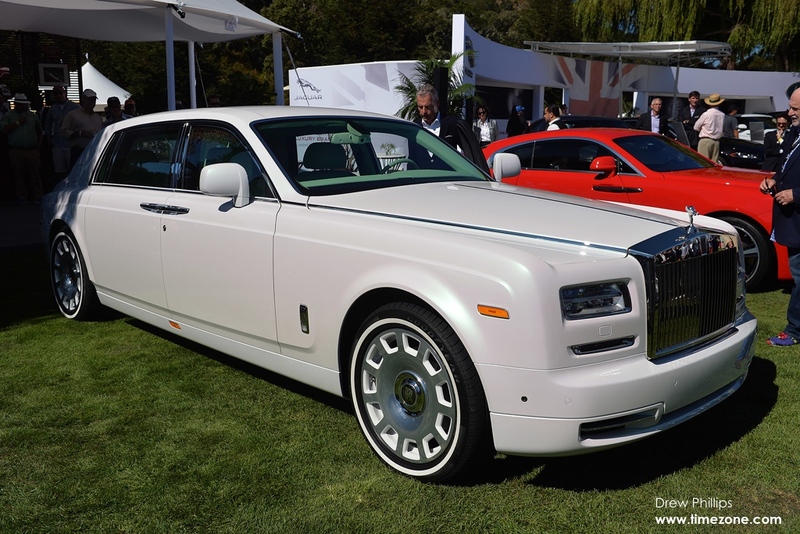 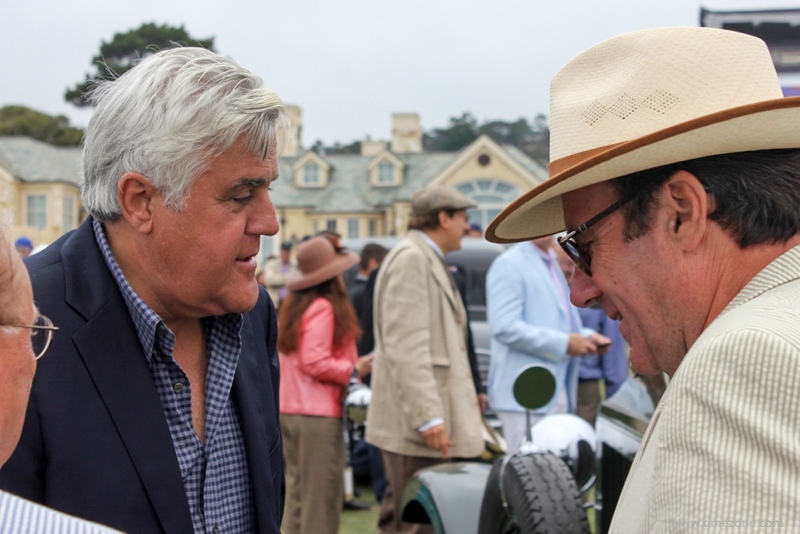 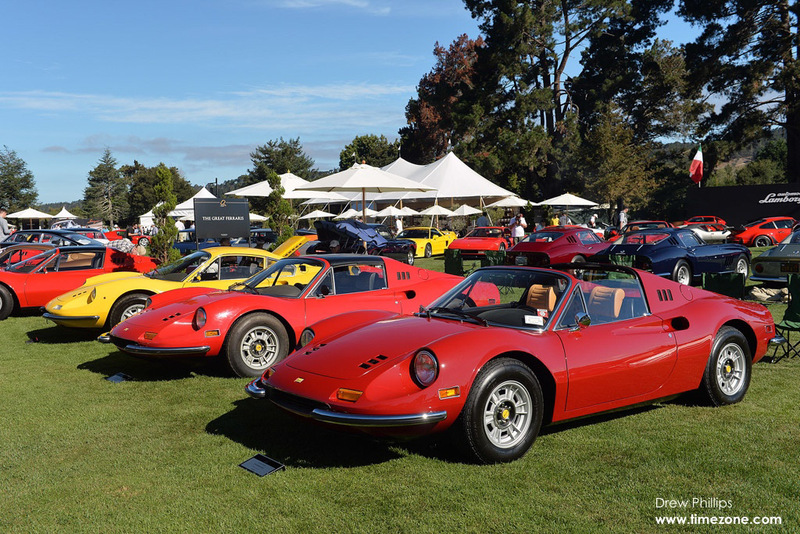 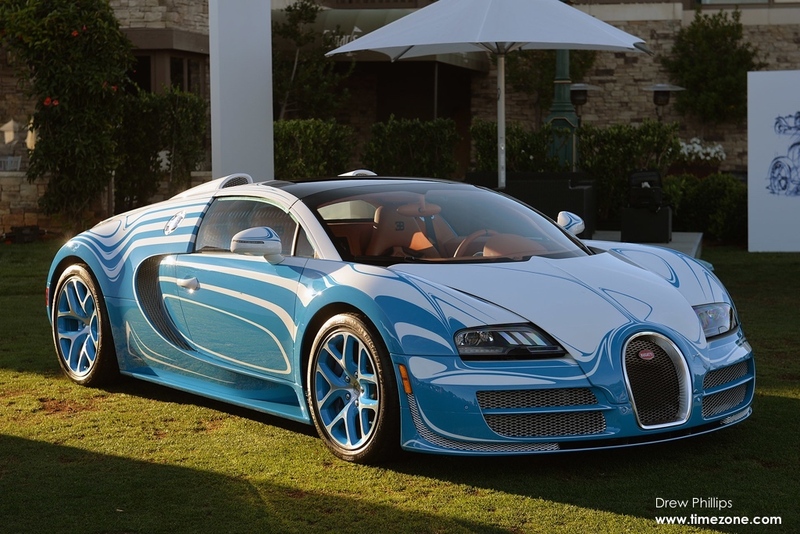 All over Monterey County, exotic and classic cars take over the streets, parks and golf courses. 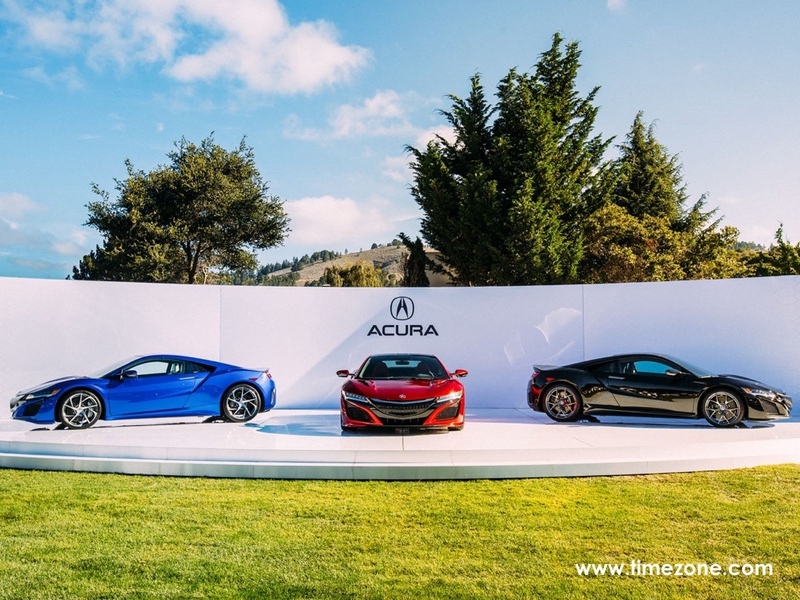 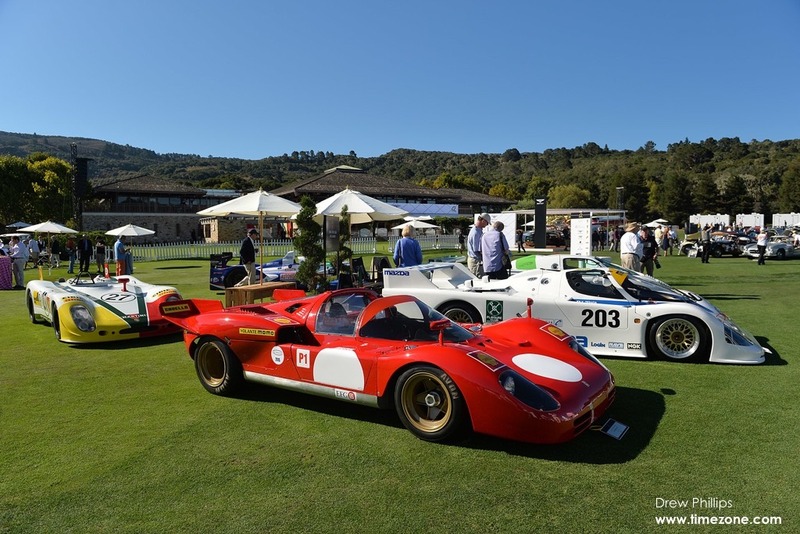 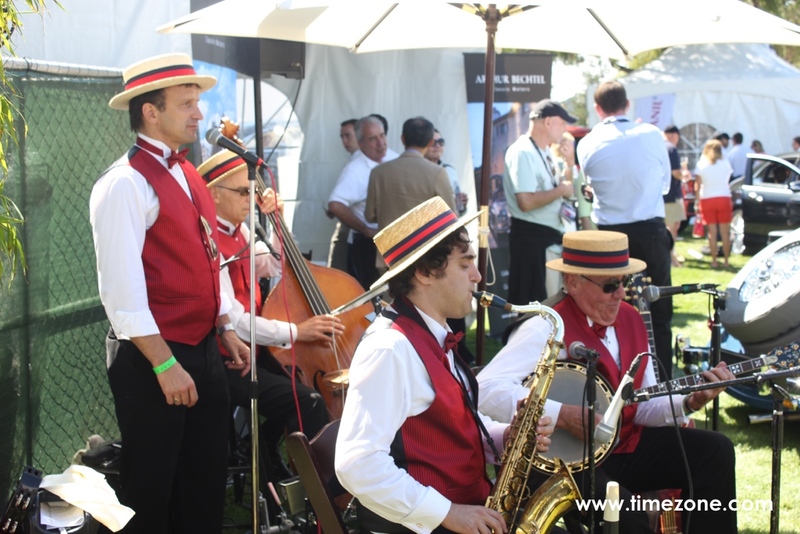 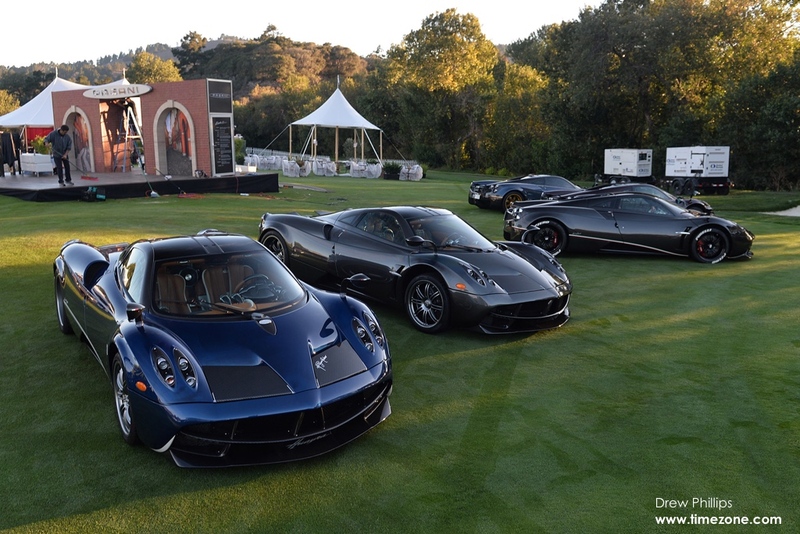 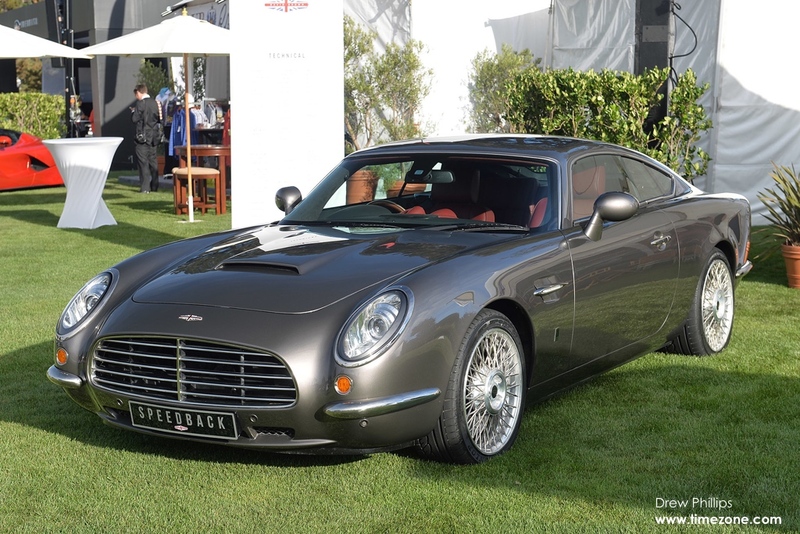 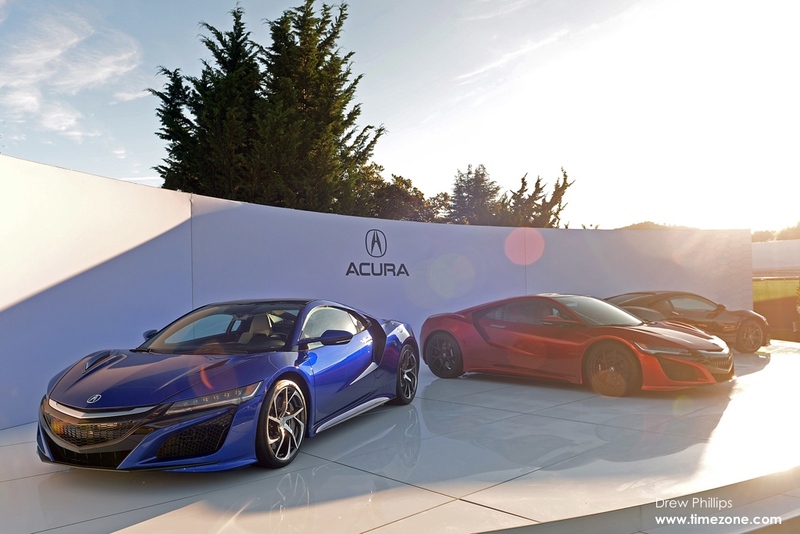 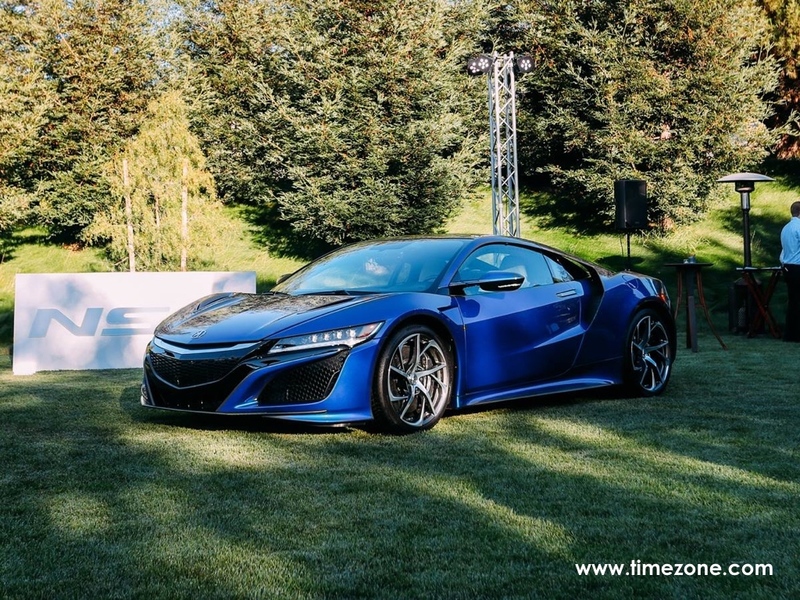 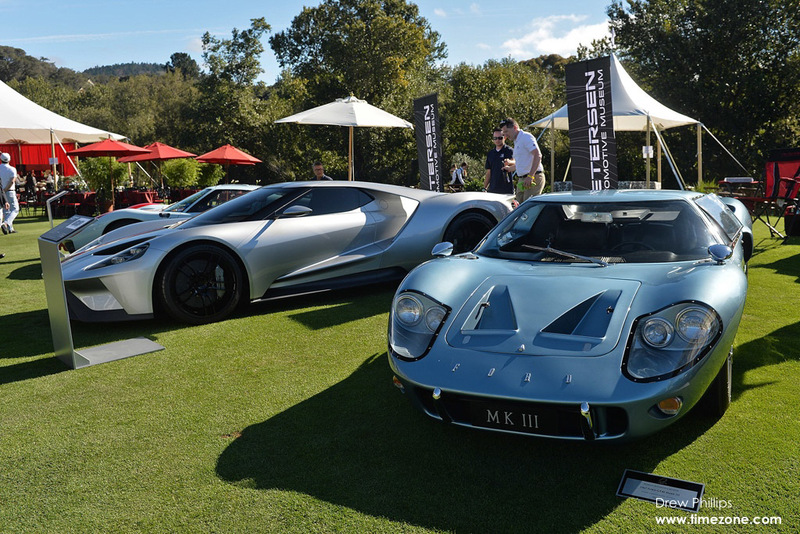 The second pinnacle event of Monterey Car Week is held on two fairways at the Quail Lodge and Golf Club in Carmel Valley. 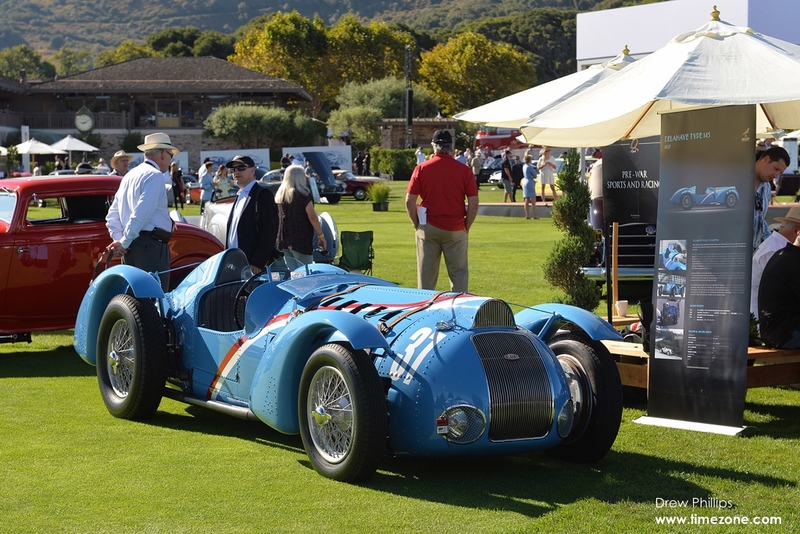 The 13th Quail Motorsports Gathering was held Friday, 14 August with more than 200 of the world's finest classic cars and motorcycles competing in nine classes: Long Tail Cars of Le Mans, Coachbuilt Ferraris, Iconic Pre-1965 Porsches, The Great Ferraris, Pre-War Sports and Racing, Post-War Sports Cars, Post-War Racing Cars, Supercars, and Sports & Racing Motorcycles. 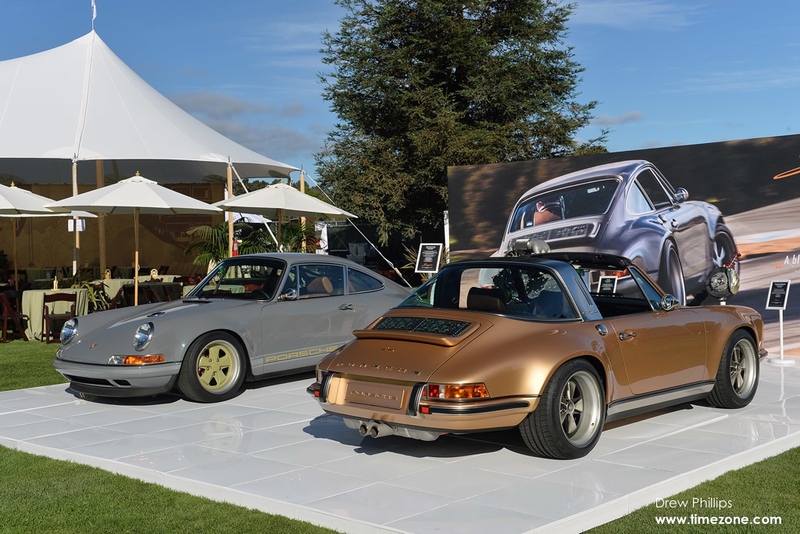 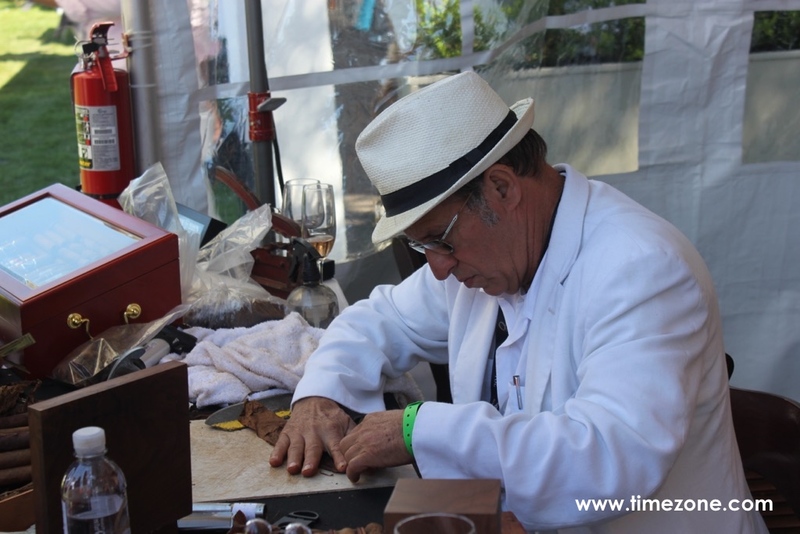 Class winners are chosen by a peer panel comprised exclusively of other Quail entrants based on style, presentation, engineering and artistic impact. 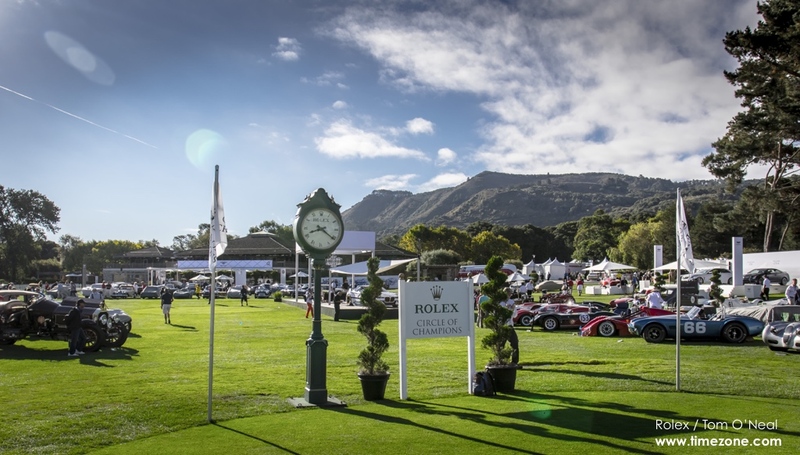 After the class winners are presented with a Quail Trophy, they are placed in the Rolex Circle of Champions for selection of the Best of Show. 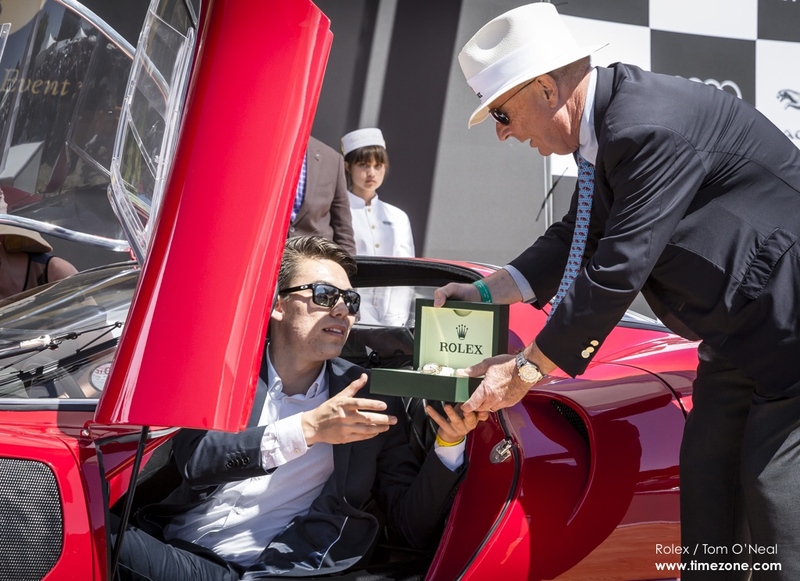 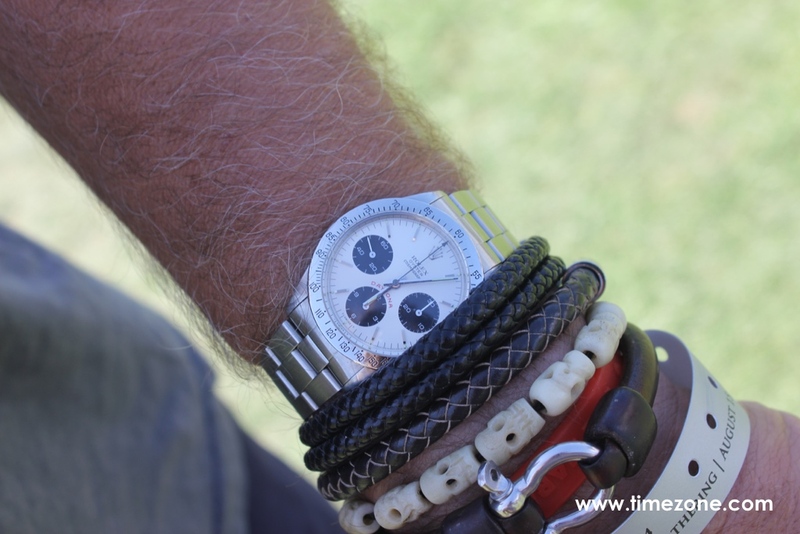 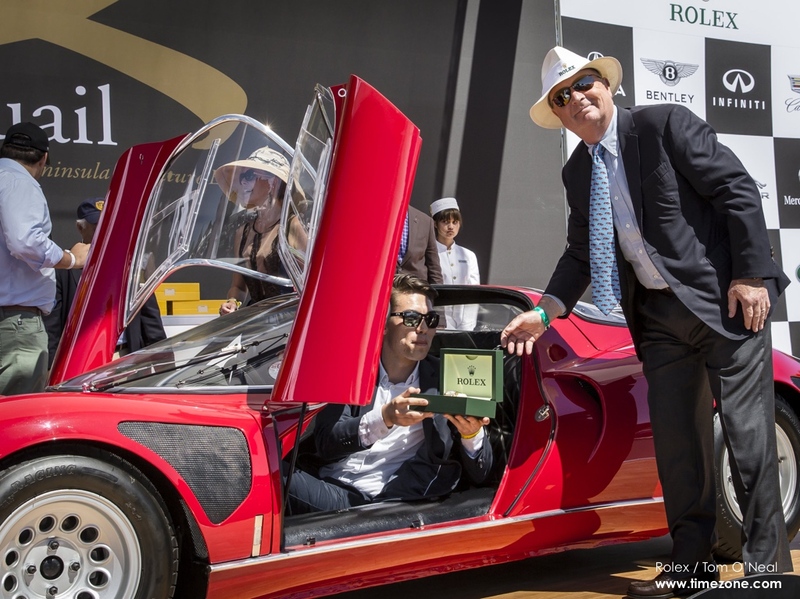 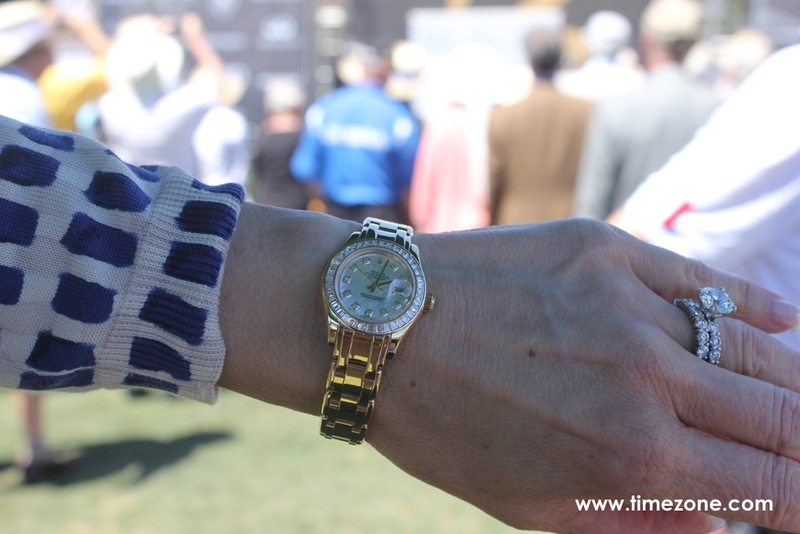 Alfa Romeo wins "Best of Show"
As the Official Timepiece of the Quail since 2005, the "Best of Show" is presented with a Quail Trophy and a new Rolex Daytona. 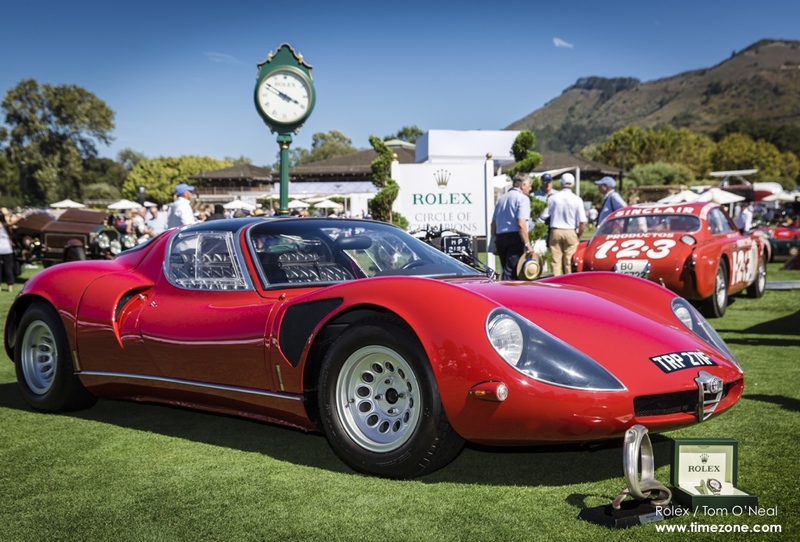 This year's winner is a beautiful 1968 Alfa Romeo Tipo 33 Stradale in superlative condition. 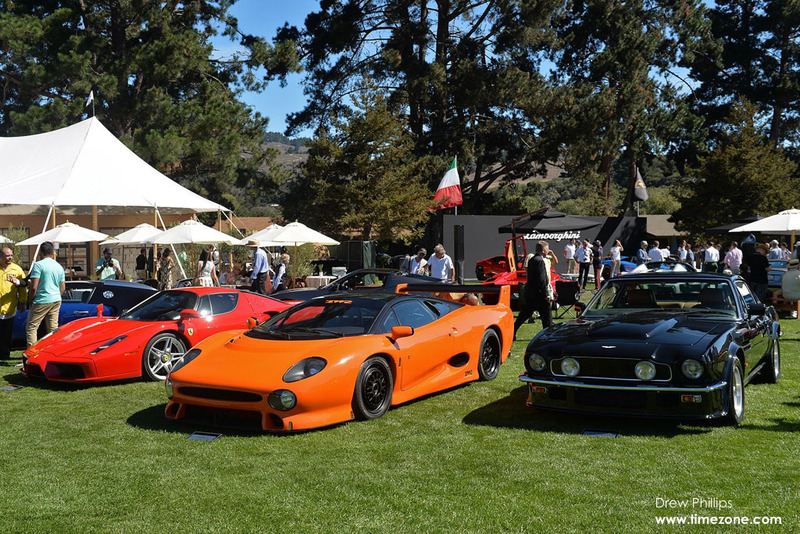 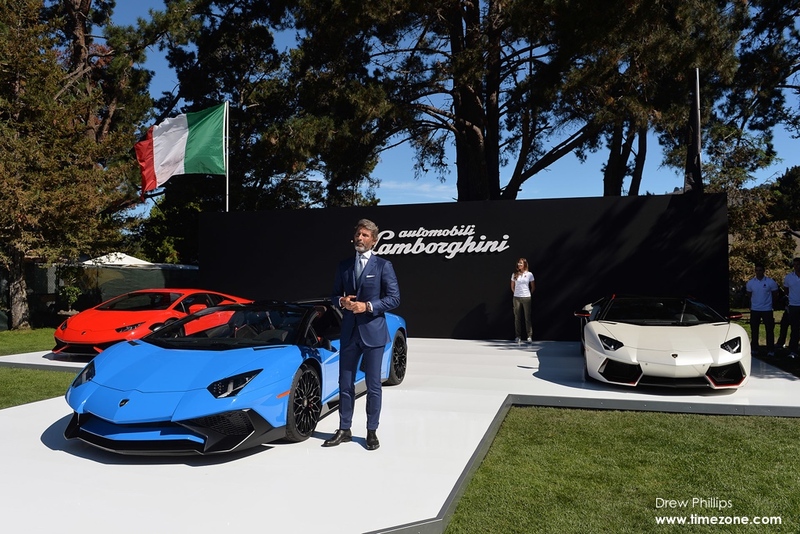 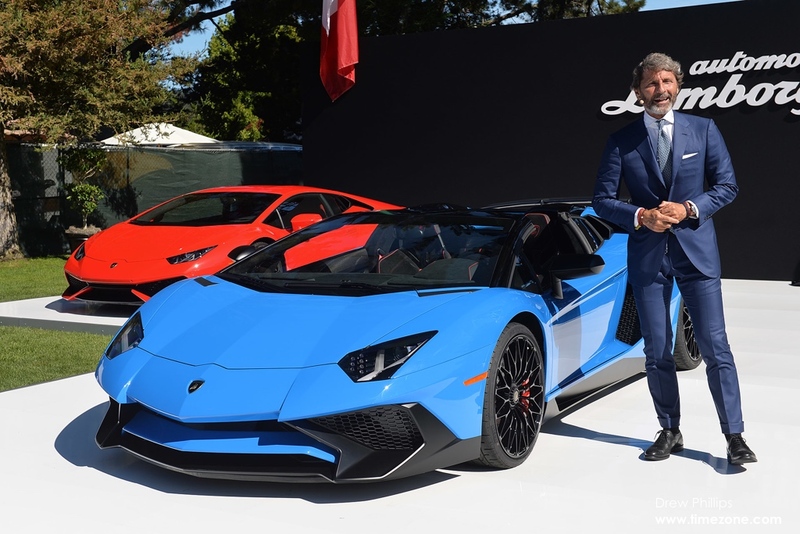 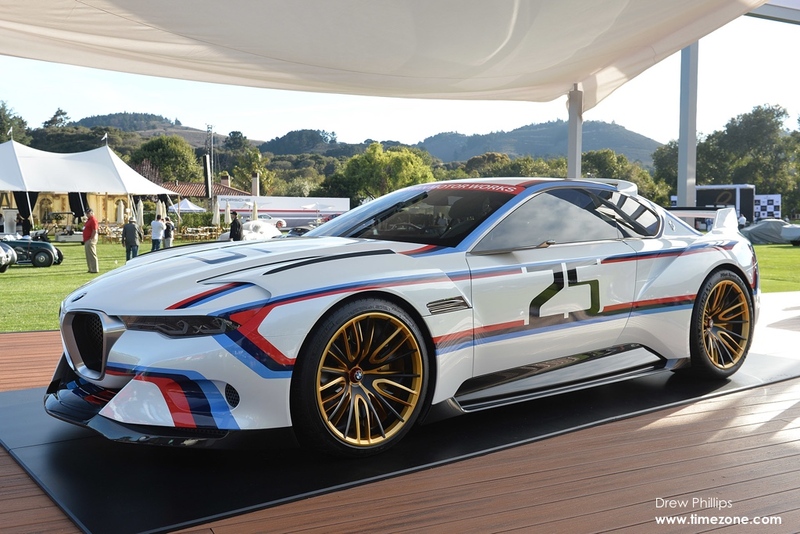 Beyond the infield of exquisite classic cars and motorcycles, the perimeter of the Quail showcases the latest supercars, like the new Lamborghini Aventador SV Roadster, Pagani Huayra, the David Brown Automotive Speedback GT, Acura NSX and the BMW 3.0 CSL Hommage R concept. 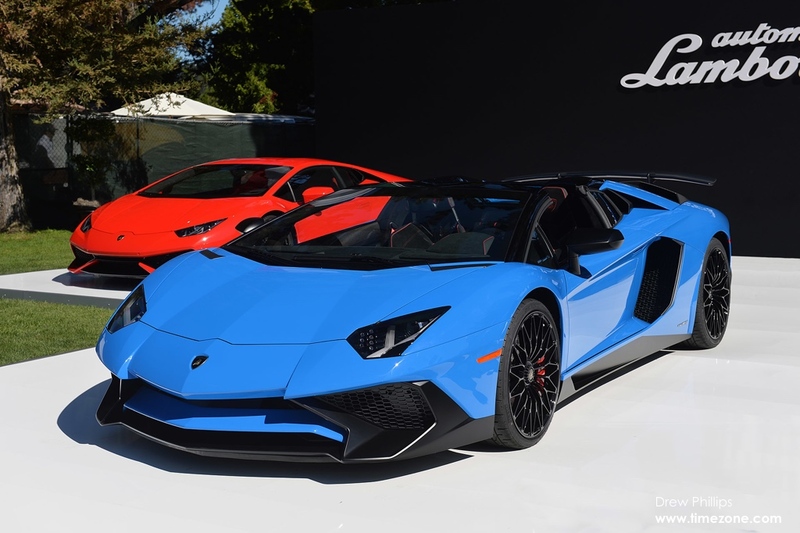 The SV Roadster is the first series-produced, open-top Lamborghini to bear the name "Superveloce"